Michigan Justice leads a jury to acquit a 46-year-old Capac man of a felony charge for a Shelby Township traffic crash that killed a father and husband. 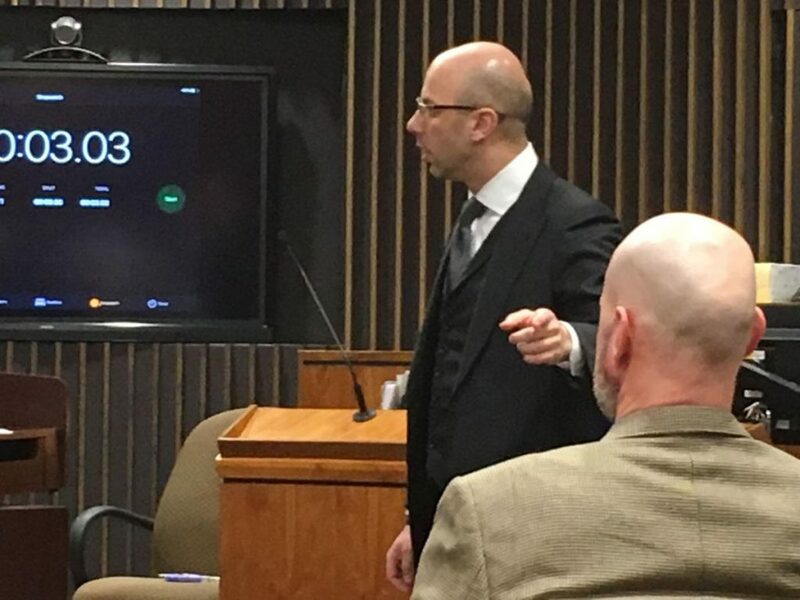 Attorney Goran Antovski points to his client, Daniel Tobey, during closing arguments at Tobey’s trial for reckless driving causing death in Macomb County Circuit Court in Mount Clemens. Antovski displayed a 3:03 to represent the number of seconds over which the accident occurred.